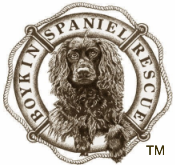 PFC Chessie - Boykin Spaniel Rescue, Inc.
Chessie was turned over to BSR in July, 2018. 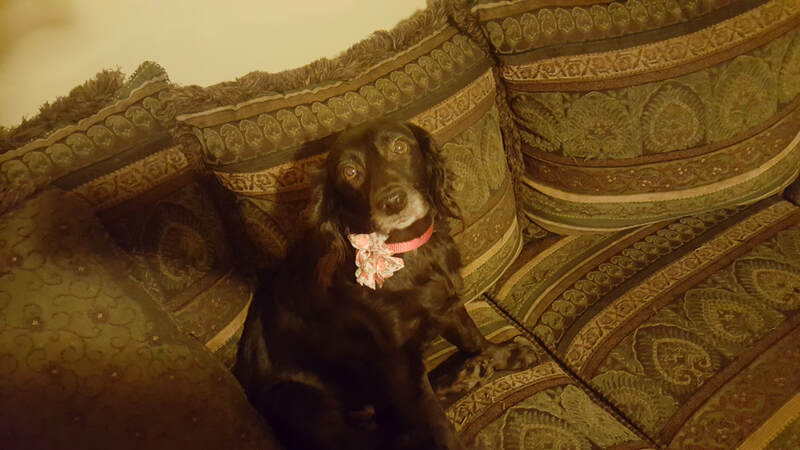 Chessie was kept outside in her former life and had not received the care she needed. 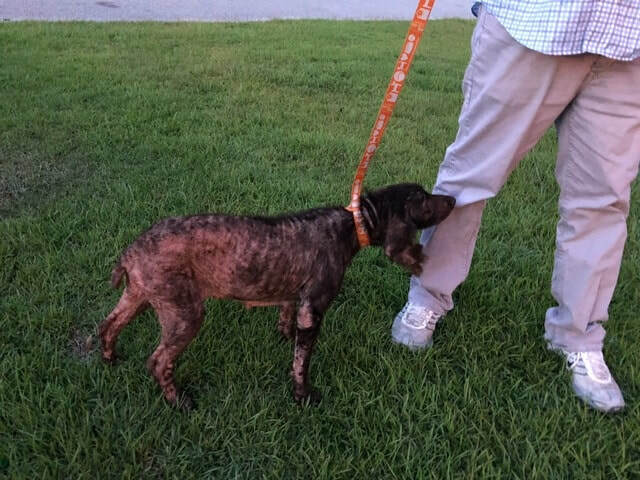 Her coat was rapidly falling out due to rampant skin infections, and she was malnourished and had mammary tumors. 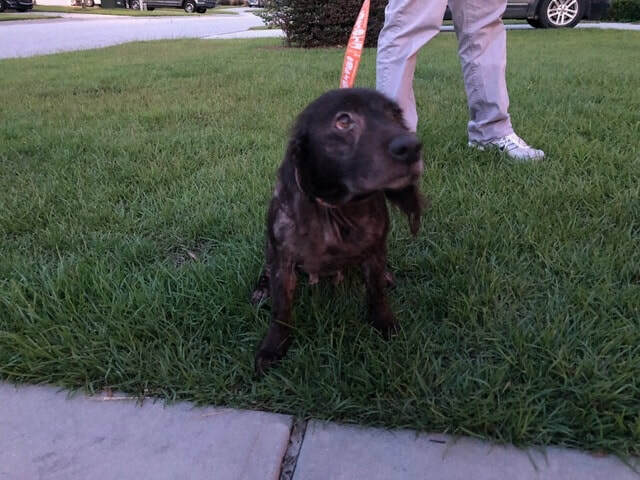 When a local veterinarian was able to get Chessie turned over to her, she contacted BSR to give her as comfortable a life as possible and hoped that her ailments could be treated. 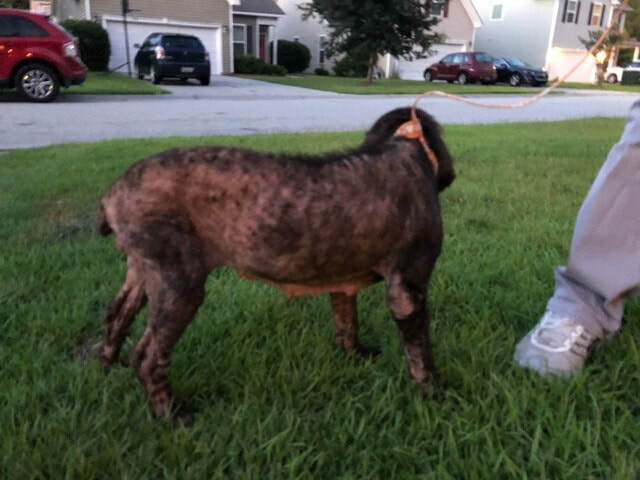 The PFC foster had helped treat past fosters for similar skin infections and was able to work her magic on Chessie. Currently, her skin is improving, hair is returning and she is living a life of leisure and love with her PFC family!